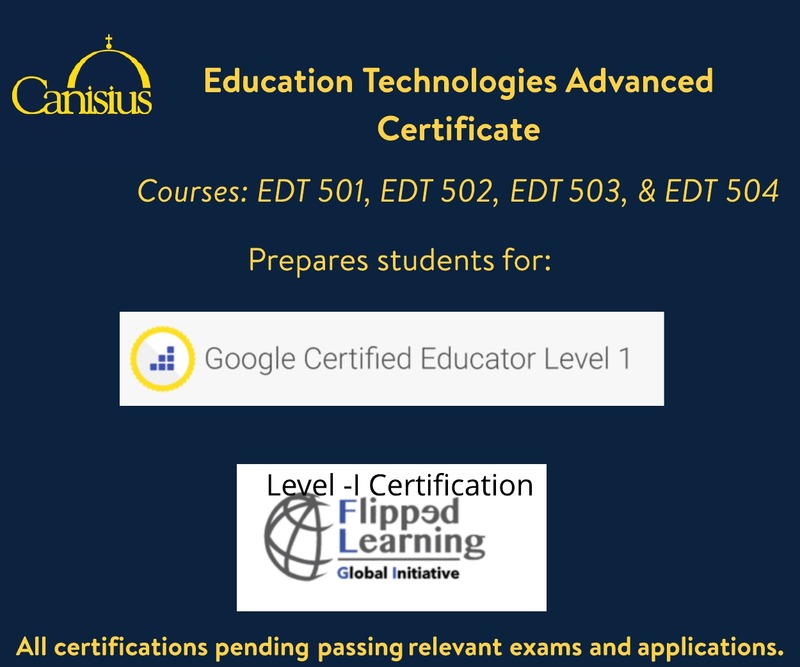 The Canisius College Education Technologies Program offers a four course Advanced Certificate that can be used for CTLE (Continuing Teacher and Leader Education) credit. 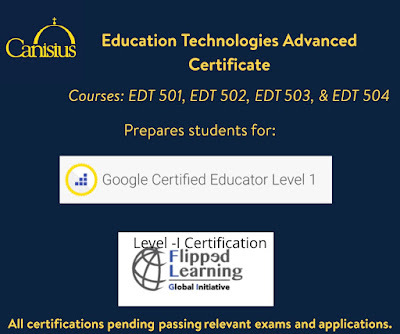 These online courses also prepare students to take the Google Certified Education Level I exam and the Flipped Learning Level I Certification exam. Classes start 8/28.